A bowler can achieve an approximate increase or decrease of two boards of back end reaction with each mile per hour change in ball reaction. With every one mile per hour decrease in your ball speed, the ball will hook approximately two more boards of back end reaction. In other words, a one-half mile per hour increase in ball speed leads to a reduction of one board in back end reaction. Being able to vary speed on different patterns is an essential skill to master in order to play the lanes more effectively. In most cases, longer patterns have significantly less friction than short patterns. Consequently, bowling balls will slow down less quickly on longer patterns as well as those with more volume or less friction built into the lane, such as Brunswick Pro Anvilane. Shorter patterns and patterns with less volume and a softer surface such as Guardian or HPL, will see the bowling ball slow down less quickly. RELATED POST: Bowling có gì thú vị ? For some time, I have wanted to use the C.A.T.S. system to formally measure ball speed change. Specifically, in an effort to explore the true relationship of moving up on the approach and subsequent ball speed change, I utilized C.A.T.S. with eight high-performing collegiate bowlers as well as one previously exempt PBA player. Players were instructed to start in their normal setup position to warm up. After feeling adequately warmed up, each bowler then took five shots using C.A.T.S. to determine the bowler’s normal baseline ball speed. After these five shots, bowlers were asked to move up exactly two of their foot lengths to a new starting position. Specifically, a righthanded bowler put their right foot directly in front of their left like a tightrope walk. Then, they stepped over with their left to have a new starting position on the approach. Bowlers were finally asked to step back from the normal starting position in the same fashion as moving forward. Ball speed reduction by moving up on the approach for eight different bowlers. The results were revealing with 100 percent of the bowlers decreasing their ball speed with this method. 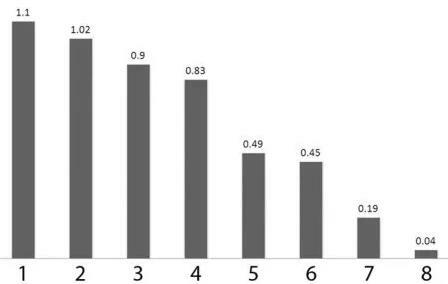 One-third of the bowlers reduced their ball speed by .9 to 1.1 mile per hour with 50 percent of all of those tested reducing their ball speed by .83 miles per hour or less. Another 25 percent of those tested were able to reduce speed approximately .5 miles per hour. From my knowledge of each of the players, those who had more free swing were able to reduce ball speed more, as compared with those who had a more muscled swing, who showed very little change in ball speed. One caveat exists. Most of the eight participants mentioned a feeling change in their approach. Clearly, by shortening the approach start, the bowler travels less distance and his foot speed decreases, slowing the ball speed. To utilize this method, a bowler will need to practice it frequently in order to apply it when needed in the competition venue. In an effort to test the effect of starting farther from the foul line than the normal start position, I found that this did not have a consistent impact on ball speed increase. The same bowlers were asked to start two steps further back from the normal starting position. C.A.T.S. results revealed that ball speed didn’t increase across bowlers as consistently as starting closer to the foul line. Ball speed is a direct result of how fast a bowler’s body is moving. The potential energy of the body is transferred into kinetic energy as the bowler throws. This speed transfer will also be impacted by the efficiency of your physical game. Specifically, ball speed is generated from the energy transferred from the body to the bowling ball. Consequently, the efficiency of the physical game plays a critical role in ball speed. The more efficient the bowler’s physical game is, the easier it will be to adjust ball speed with the changes discussed. If you want to increase ball speed, thinking fast will help you get your body speed fast. Specifically, you want to run after the ball gets into the swing. This will translate into faster ball speed when needed. One method that will help a bowler is to literally think run after getting the ball into the swing. You will often hear me say ”drop-run” to bowlers I work with, referring to getting their feet moving quickly as soon as the ball is hinged into the swing. A bowler who still pushes the ball out often is reducing their ball speed potential. As I have discussed previously, when a bowler hinges, this will lead to a quicker pace of the feet into the slide, generating more potential ball speed. A poor ball fit, an inefficient swing line, and other physical inefficiencies can also contribute to poor biomechanics, leading to a reduced ball speed. See a certified coach to evaluate your game as well as an IBPSIA certified pro shop technician to check your grip. To estimate your ball speed, I have included a table (see below) for both miles per hour as well as kilometers per hour for those international readers who utilize metric units. This will represent the average ball speed traveled across the lane. Start the stopwatch when the ball passes the foul line. Stop the stopwatch when the ball hits the pins. Average ball speed can be calculated from the time it takes the ball to travel from the foul line to the pins. In an effort to enhance your practice process, use these charts to verify the consistency of your regular ball speed as well as experimenting with the methods discussed in the article to increase or decrease ball speed. These sheets can be used as well to practice your ball speed change and accuracy. 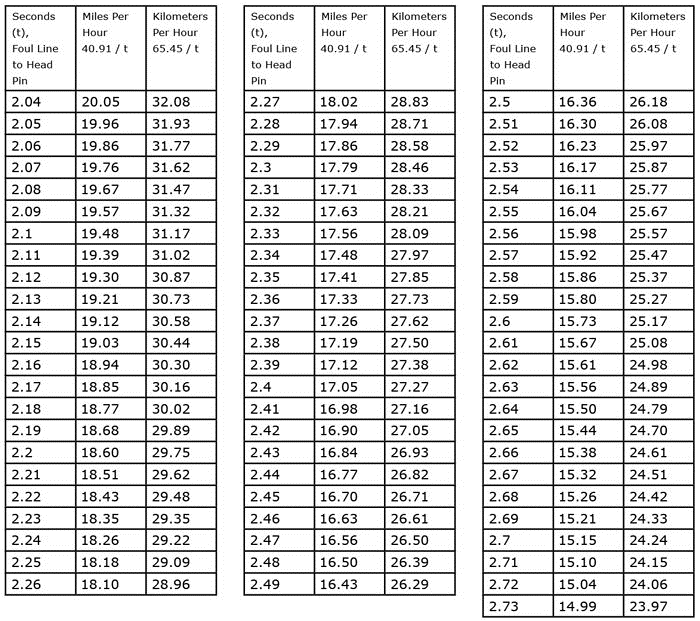 Ball speed tracking chart: use in conjunction with a stop watch and the above ball speed calculation table. 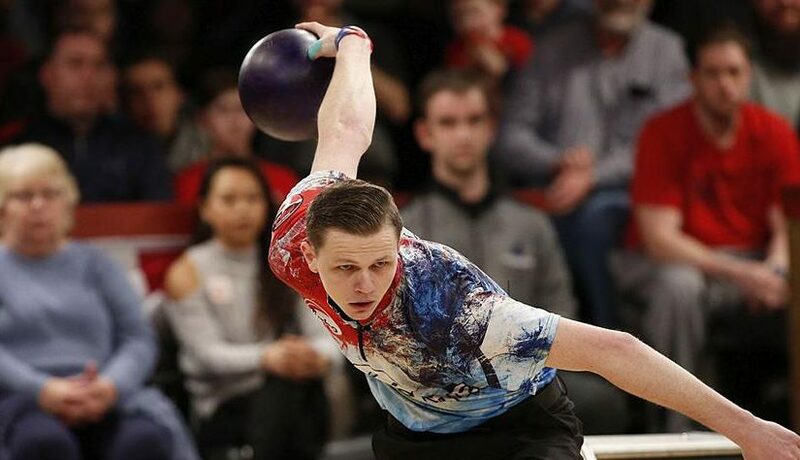 The number one problem I see the most, especially on fresh patterns, is that a player’s bowling ball that is not rolling when it hits the pocket has reduced carry potential. Bowlers choose not to use adequate surface on the cover of the ball and they do not get the ball to slow down enough. Reducing ball speed would also be a solution to getting the ball to roll earlier. Ball speed change is an important part of improving one’s versatility. Decreasing your ball speed on command by moving up on the approach can lead to a few more boards of back end reaction. As the research demonstrated, stepping up on the approach two lengths of your feet can result in a ball speed reduction of one-half to one full mile per hour.